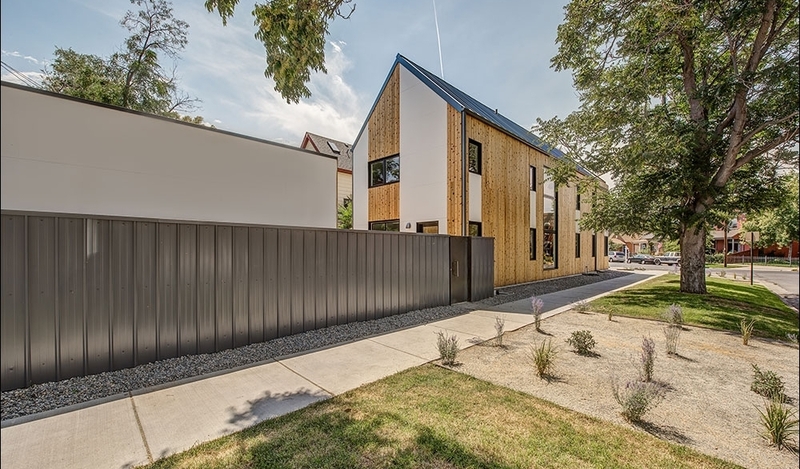 This urban infill project redeveloped a site in the historic Five Points Neighborhood, adjacent to Downtown Denver. The design considered the vernacular style within the neighborhood context, which included Victorian, Post-Victorian and Italianate homes. The site also presented a unique opportunity with sightlines onto a Gothic Revival church on the opposing corner, and westward views onto the Denver skyline with the backdrop of the Front Range. The project employs sustainability oriented systems (Heat Pump/ERV), building methodologies and building materials, with an emphasis on performance, low energy consumption and comfort. The home does not utilize any fossil fuels, and has the potential of being Net Zero with the addition of a solar array scaled appropriately to the homeowner’s lifestyle. Images courtesy of Teri Fotheringham.